You deserve to feel safe at work, and when a violent incident occurs at your place of employment, you need the best legal representation on your side. Acts of violence in the workplace are unfortunately on the rise, and Parker Waichman LLP has been helping victims or the families of victims file workplace violence lawsuits to recover financial compensation. When people think about workplace violence, they often picture a current or former employee who suddenly snaps and brings a weapon to work. In reality, these kinds of episodes make up only a fraction of the violence perpetrated in the workplace. A large portion of workplace violence involves a third party, unconnected to the business and the victim, who comes in with the intent of committing a robbery or other crime. In addition, a significant percentage of workplace violence involves intimidation, harassment, and threats. Situations do not have to escalate to physical violence before you have options for legal recourse. According to the National Institute for Occupational Safety and Health, workplace violence is a “violent act directed toward persons at work or on duty,” including threats of assault, threatening behavior, and verbal abuse. If you have experienced a physical, behavioral, or verbal act of violence at your workplace, contact Parker Waichman LLP to find out what options you might have for recovery. Workplace violence can take place in a number of different ways and involving different parties, both affiliated and unaffiliated with the business. In our experience litigating these types of claims, we can usually separate the cases into three types: (1) employer-employee; (2) employee-employee; and (3) third party-employee. Many times, these types of acts go unreported because employees are worried about losing their jobs. And the incidents can be compounded by threats of firing if the victims tell anyone or hire a lawyer. You should never accept working in an unsafe environment, and a lawyer could assist you if you find yourself in this sort of situation. Employers have certain duties to keep their employees safe, and when you are subjected to violence at work, you have the right to seek justice for yourself and your family. Many incidents of workplace violence occur when people unconnected to the business enter with the intent of committing a crime – usually an economically-motivated crime like robbery. These can also include situations of customer violence against employees. Employees working at the time can be injured simply by being in the business when the offender arrives. While no business is completely immune from violence of this sort, convenience stores and bars open during late hours are particularly vulnerable. Some states offer guidance about situations or workplace environments that generally pose a higher risk of violence. The following list is provided by the New York Department of Labor. Even when violence is committed by someone outside of the workplace, employers have an obligation to protect their employees from harm. No matter who actually injured you, if you were at work when it happened, you might be legally qualified to file a lawsuit against your employer. When you are injured at work in an act of workplace violence, you need to look into the feasibility of filing a claim against your employer. You can do this by alleging a number of different things, depending on the circumstances of your particular claim. Negligent Security – Employers have a duty to take steps to make sure their businesses are safe. If they do not have proper security, like adequate lighting, alarms, cameras, and security guards (depending on the business), they can be held responsible for acts of violence committed against their employees. Especially if crimes have previously been committed on or near the property or at similar businesses, employers need to take appropriate steps to protect their employees. Negligent Training – Along the same lines of negligent security, employers need to train all their employees as to what to do in a dangerous scenario like a robbery or customer hostility. Without proper training, employees are more at risk of being injured. Employers also need to provide training in sexual harassment and workplace hostility so that all employees know what is unacceptable behavior and what steps they can take if they experience workplace violence. Negligent Hiring – If employers fail to perform proper background and reference checks, they are at risk for hiring someone with a criminal history or propensity toward violence. If someone who should never have been hired injures another person on the job, the employer could be held liable for neglecting to make adequate hiring measures. Negligent Supervision – Employers sometimes turn a blind eye to what is going on in their businesses, often not wanting to deal with employee “drama.” If they fail to supervise or take seriously a situation of workplace violence, they can be sued for placing their employees at a continued risk of harm. Negligent Retention – When employers learn about workplace violence, they should never keep the offending employees on staff. 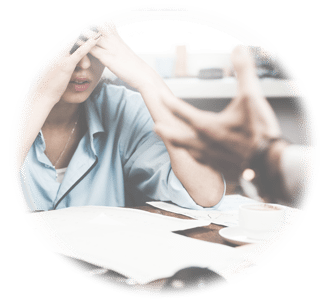 Sometimes during busy periods, employers will try to handle things conservatively so as not to lose time and money, but this places victims at a continued risk of violence and creates a toxic work environment. As discussed previously, employers have a duty to keep their employees safe. We have to prove that in your case, your employer had a legal obligation to protect you from harm, and that your employer failed to do so. If you were injured in a robbery at your workplace, we need to show that under the same or similar circumstances, a reasonable employer would have taken appropriate steps to prevent the robbery from occurring or to prevent you from being injured during the robbery. The court in this sense will look at what your employer did versus what your employer should have done to make a determination about whether a duty was breached. In addition, we have to prove you were harmed in some way, and your harm was caused by the negligent conduct of your employer. While physical injuries are generally not especially difficult to prove, emotional and psychological injuries might require a medical expert to testify in your case as to your damages. Further, we have to show that some alternate conduct by your employer would have made a difference. If there was nothing your employer could have done, you will not succeed on your claims. These case require significant time and effort to build and you need lawyers who know how to handle them. Parker LLP has extensive experience litigating workplace violence cases, and we know what it takes to win. Any time you are considering filing a lawsuit, you must make sure your claim has not expired under the state’s statute of limitations. Statutes of limitations are state-enacted time limits on filing claims. They tend to encourage people to investigate and file their claims more quickly, which will have the natural effect of preserving evidence for trial. You want people’s memories to be accurate and documents to still be available by the time you sue. In a negligence action for workplace violence, each states has differing time limits to file a lawsuit alleging workplace violence. This means the clock will usually start running from the date of the act of violence. It can be difficult determining the statute of limitations in cases of ongoing violence, so you must be sure to hire competent counsel to figure out the correct time limit on filing your case. The attorneys at Parker Waichman LLP are diligent about calculating statutes of limitations on all our new cases, so you can be confident when you hire us that your rights will be protected. How Could a Personal Injury Lawyer Assist Me? We know that this experience has been extremely traumatic, and no amount of money will completely restore your life. But particularly if you have had to miss work or leave your job because of your injuries, a settlement or verdict can help ease the financial burden that has been placed on you and your family. We are extremely passionate about helping people and have the resources and skills to begin investigating your workplace violence claim and to seek full compensation for you. Workplace violence cases can be especially sensitive and difficult to talk about. Depending on what happened to you and for whom you worked, you might be reluctant to open up about the incident. We can assure you that Parker Waichman LLP takes attorney-client privilege very seriously, and we only hire caring, compassionate lawyers. Your privacy will be fiercely protected, and your attorney will create an environment in which you feel comfortable talking about what happened. When there is potential for a lawsuit to be filed against an employer, your case will undoubtedly involve extensive document discovery and depositions. The best way to succeed is to hire experienced lawyers who understand the system and will not be intimidated by corporate counsel and massive document production. We will get to the bottom of what happened and hold the responsible parties accountable, starting with a confidential consultation at absolutely no cost to you. We offer free consultations and will perform your case review and investigation without ever asking for money up front. At Parker Waichman LLP, we understand workplace violence can have a devastating effect on your life. We want to help you seek the justice you deserve so you can begin to move forward. If you were or a loved one was injured in an act of workplace violence, contact Parker Waichman LLP today for a free consultation by filling out our online form or by calling 1-800-YOURLAWYER (1-800-968-7529).